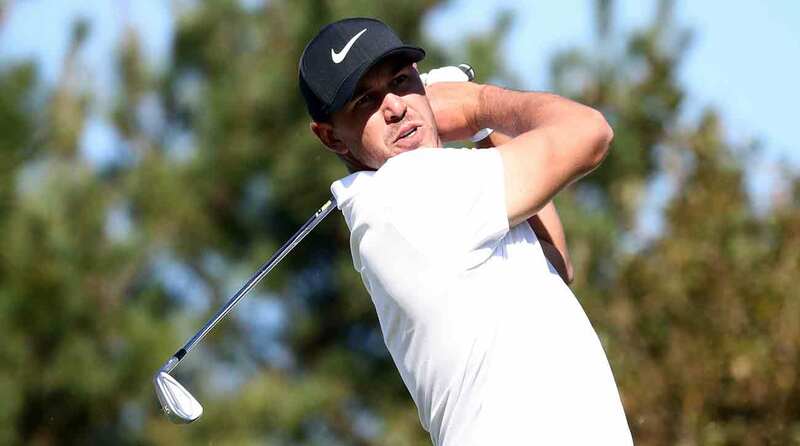 Brooks Koepka tees off on the fourth hole during the final round of the CJ Cup at Nine Bridges. Irons: Nike Vapor Fly Pro (3) with Fujikura Pro Tour Spec shaft, Mizuno JPX-900 Tour (4-PW) with True Temper Dynamic Gold X100 shafts Buy Now Wedges: Titleist Vokey Design SM7 (52°, 56°, 60°) with True Temper Dynamic Gold Tour Issue S400 shafts Buy Now Putter: Scotty Cameron Newport 2 T10 Buy Now Ball: Titleist Pro V1x Buy Now Koepka isn't the only player to enjoy success with a mixed bag this year — in fact, all four major-winners in 2018 (Patrick Reed, Edoardo Molinari and Koepka twice) won their titles with a range of brands in their bags. This is an excellent lesson for everyday golfers. Experiment with a variety of clubs from a variety of brands until you find what works for your game. Need some help? Visit the custom-fitting experts at TrueSpec.